Author: Kemal, Yashar Set In . . . 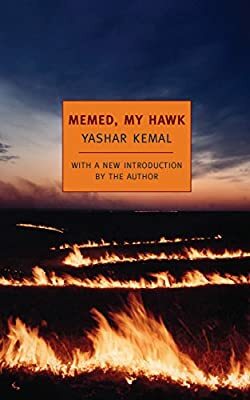 Description: A tale of high adventure and lyrical celebration, tenderness and violence, generosity and ruthlessness, Memed, My Hawk is the defining achievement of one of the greatest and most beloved of living writers, Yashar Kemal. It is reissued here with a new introduction by the author on the fiftieth anniversary of its first publication. Memed, a high-spirited, kindhearted boy, grows up in a desperately poor mountain village whose inhabitants are kept in virtual slavery by the local landlord. Determined to escape from the life of toil and humiliation to which he has been born, he flees but is caught, tortured, and nearly killed. When at last he does get away, it is to set up as a roving brigand, celebrated in song, who could be a liberator to his people—unless, like the thistles that cover the mountain slopes of his native region, his character has taken an irremediably harsh and unforgiving form.